Due to unavoidable circumstances EYLA sessions on “Creating Morality in Classroom” scheduled to be held on February 25 and March 03, 2012 have been postponed. These sessions will now be conducted on March 03, 2012 (1st Sub Session) and March 17, 2012 (2nd Sub Session). Confirmation for the sessions, on revised dates, will start from Friday, March 02, 2012. Since seating at the workshop is limited, aspiring participants must confirm their participation at registration@ptan.org or Phone # 36826991-4/36347611-4 Ext. 3203/3205. Available seating will be assigned on a first-come, first-served basis, and the registration will be closed once the workshop has been fully subscribed. (Please note that the request for confirmation, for attending the workshop, sent through e-mails or phone calls received before Friday, March 02, 2012 will not be accepted. Members sending their confirmations through e-mails should send their e-mails from 8:30 a.m. (PST) on Friday, March 02, 2012. Any e-mail received on March 02, 2012 before 8:30 a.m. (PST) will not be accepted). This month Fatima Obaid will be conducting a session called, “Appreciating Diversity in Primary Classrooms; Implications for Teachers’ Practices." Our classrooms comprise of different children, each of them unique in the way they learn and understand the world around them. In order to teach successfully so that every student can have meaningful learning experiences, it is important to know and be aware of the diverse population of our classrooms. This workshop is designed to help teachers understand how children learn. It will give teachers’ guidelines to encourage full participation of all children, while being aware of the differences which influence their learning. The activities and discussion in the workshop will provide strategies to vary teaching methods to take advantage of the different learning styles and multiple intelligences. Fatima Obaid has been associated with the field of education since 1985. She has taught English as a Second Language in the United Arab Emirates. She has taught the kindergarten and nursery classes at the The Head Start School System and was the vice principal of the school in Clifton from 2000-2010. 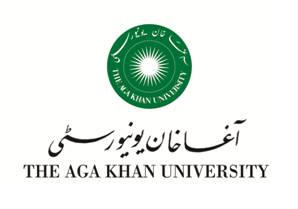 Presently she is doing her Masters in Educational Leadership and Management from the Aga Khan University, Institute for educational Development. Kindly confirm your participation latest by Friday, February 17, 2012 at registration@ptan.org or (36347611-14 or 36826991-94 Ext. 3203 / 3205), as this will facilitate us in organizing the workshop effectively. O & A Level schools to learn the effective use of Casio's latest ES Plus Series of scientific calculators in teaching (for more information please see the attached flyer). We would like to iterate that in order to provide quality professional development to all valued members and to run this association effectively we need your full support and punctuality. Since seats for the session are limited, interested members are requested to kindly confirm their participation latest by Friday, February 17, 2012 at registration@ptan.org or (36826991-94/36347611-14 Ext. 3203 / 3205), as this will facilitate us in organising the workshop effectively. In year 2012, EYLA will continue its mission of raising awareness and providing ongoing support by sharing and disseminating information for children’s learning and development to its different stakeholders. Hence, EYLA this year begins with a challenging and flushing theme “Moral Education in Early Years” as its Main Theme for its series of Sub Sessions during rest of the year. Each of the sub themes will be delivered in 2 consecutive sessions i.e. in consecutive months. The 1st Sub Theme, mentioned below, will be covered in the month of February and March and in order to be eligible for the certificate a participant has to attend both the sessions. Also, a participant registered for 1st sessions of a sub session can attend the 2nd session of that sub session. For example, a participant registered for 1st Sub Session in February can attend the 2 consecutive sessions, i.e. February and March, whereas no new participant will be allowed to attend the 2nd session of the 1st Sub Session in March. Similarly, a participant registered for 1st session of the 2nd Sub Session (in April & May) can attend the 2nd session of the 2nd Sub Session in May and no new participant will be allowed to attend 2nd session of 2nd Sub Session in May. Registration for the above 1st Sub Session (February and March) will start from Friday, February 24, 2012. Since seating at the workshop is limited, aspiring participants must confirm their participation at registration@ptan.org or Phone # 36826991-4/36347611-4 Ext. 3203/3205. Available seating will be assigned on a first-come, first-served basis, and the registration will be closed once the workshop has been fully subscribed. (Please note that the request for confirmation, for attending the workshop, sent through e-mails or phone calls received before Friday, February 24, 2012 will not be accepted. Members sending their confirmations through e-mails should send their e-mails from 8:30 a.m. (PST) on Friday, February 24, 2012. Any e-mail received on February 24, 2012 before 8:30 a.m. (PST) will not be accepted). multidimensional thinking while teaching a course. Nimira Asif has done BScN from Aga Khan University, School of Nursing (AKU-SON) in 2005. After her BScN, she worked as a Clinical Nurse Instructor at AKUH. She has also done MEd in Educational Leadership and Management from Aga Khan University, Institute for Educational Development in 2011. She has conducted various workshops for managers/leaders from the field of education and nursing. Presently, she is working as a faculty member at AKU-SON. In view of limited seats available, prior registration for this workshop is mandatory. Kindly confirm your participation latest by Thursday, February 16, 2011 at registration@ptan.org or (36826991-4 Ext. 3203 / 3205), as this will facilitate us in organizing the workshop effectively. Saturday, February 25, 2012 – 10:00 a.m. – 3:00 p.m.